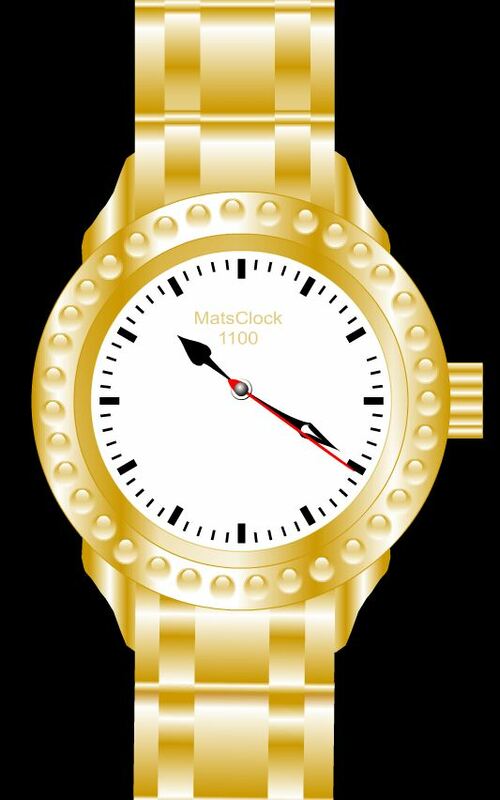 MatsClock 1100 is a Gold Plated Wrist Watch. It is a free analog flash clock design replicating a gold plated wrist watch. I gave this beautiful watch, gold plated straps and it took me some time to make it. I looked carefully at a ladies watch and thought why not give out a free flash watch instead of my regular flash clocks. I found it a bit difficult to replicate a metal strap and even more difficult to find the right color matching a gold plated watch strap. I do not know if you liked this golden watch design. But this time I have managed to keep the size of my analog watch to just 5 kb. This small size makes the analog clock to load in less than in a browser. Making things in flash is very immersive activity for me. Like any wrist watch the gold plated wrist watch also shows accurate time.